SNAFU! 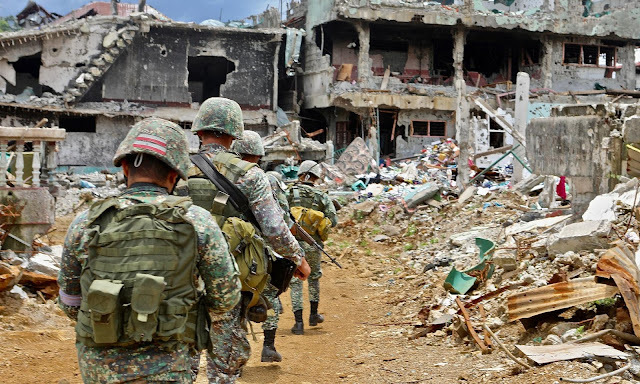 : Article – The Battle of Marawi: Small Team Lessons Learned For the Close Fight. This is some of the most vicious sustained combat that you'll never hear about. Quite honestly I haven't done the amount of reading on the subject that I should but from what little I have done its remarkable. The courage under fire is undeniable. The performance of the Philippine Army/Marines is MUCH better than I expected and I'm still waiting to hear the role that US Special Forces/Marine Special Ops/Navy SEALs and others played in support of them. But the after action and lessons learned. The COVE did an article on the subject that is worth your time. Check it out here.